AGXGOLF SENIOR MEN'S MAGNUM SERIES COMPLETE GOLF CLUB SET 460 DRIVER+3 WOOD+HYBRID+ PUTTER+5-9 IRONS + PITCHING WEDGE: ALL SIZES wBAG OPTION: BUILT IN THE U.S.A!! 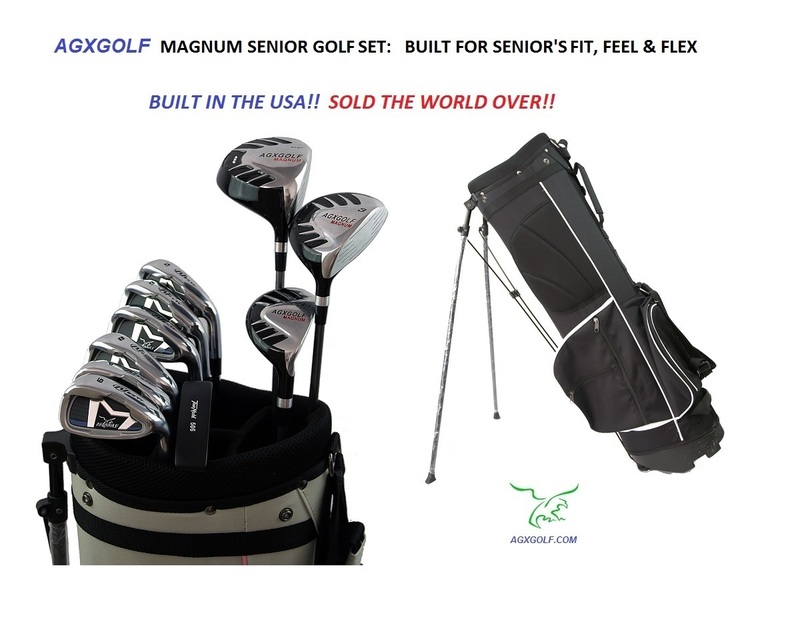 Home » SENIOR'S GOLF CLUBS » AGXGOLF SENIOR MEN'S MAGNUM SERIES COMPLETE GOLF CLUB SET 460 DRIVER+3 WOOD+HYBRID+ PUTTER+5-9 IRONS + PITCHING WEDGE: ALL SIZES wBAG OPTION: BUILT IN THE U.S.A!! !! 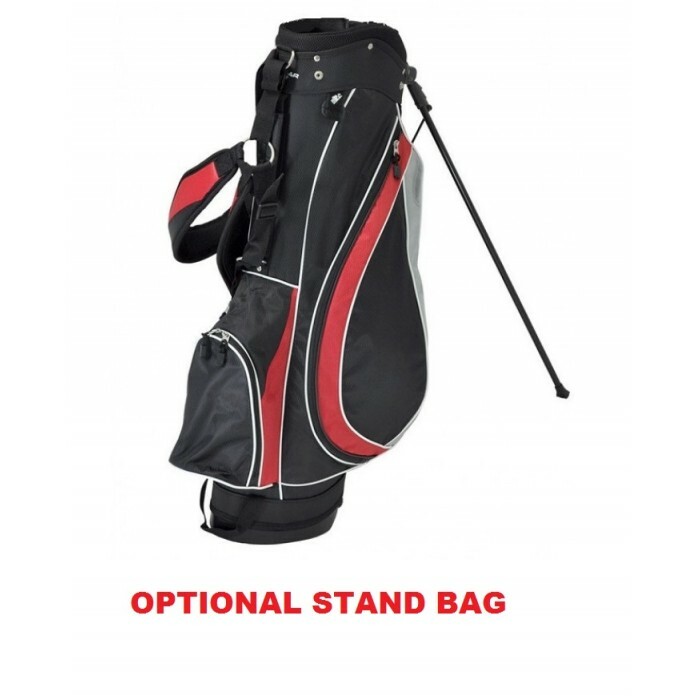 OPTIONAL MEN'S STAND BAG !! !!! BUILT IN THE USA !!! ....Yes this is a BRAND NEW SET...The Manufacturer's Suggested Retail Price for this item is $329.95 Your price is MUCH BETTER!! Sets include One Year Manufacturers WARRANTY!! 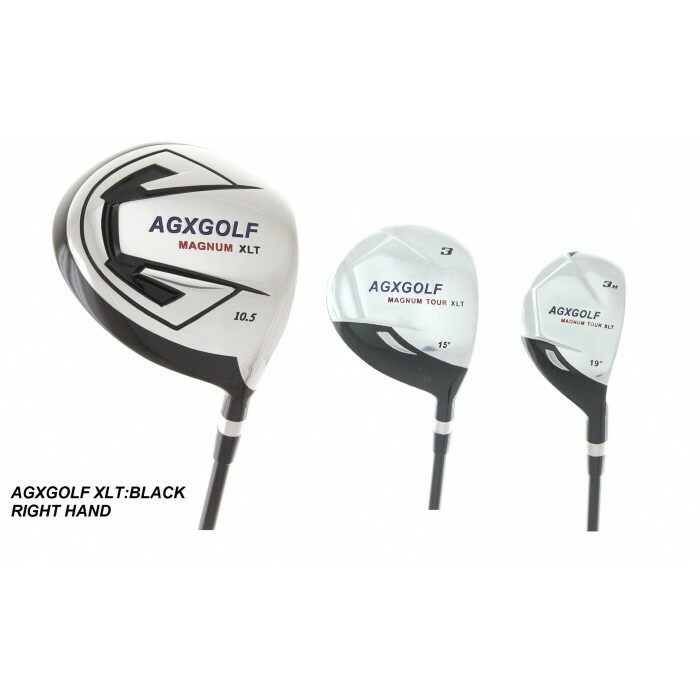 This COMPLETE set of golf clubs from AGXGOLF is built from Quality Alloy Steel (a quick glance at our feedback show that we build quality) features the 10.5 DEGREE OVER SIZE FORGED 7075 DRIVER and OPTIMIZED PROFILE FAIRWAY WOOD (3 wood) with low center of gravity soles. DRIVER: FORGED 7075 (10.5 degree) offset head featuring "LARGE PROFILE FACE TECHNOLOGY" for Explosive Distance and an 10.5 Degree Face for OPTIMUM HEIGHT off the TEE.! #3 FAIRWAY WOOD: (15 degree) for greater versatility. Woods give you far more options for hitting those long fairway shots. This Balanced Profile club head design technology, plus the SUPERIOR HIGH MODULUS SENIOR FLEX Graphite Shaft Technology>produces a club with awesome swing FEEL and ACCURACY. 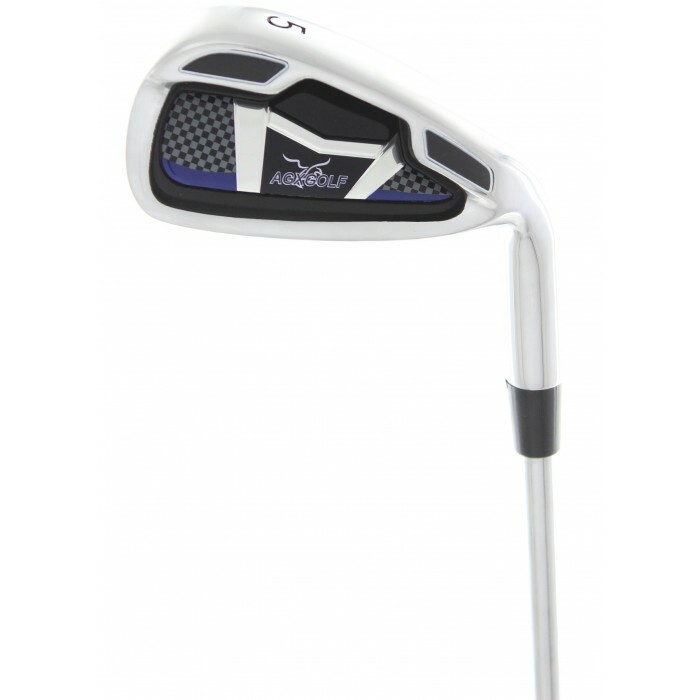 #3 HYBRID UTILITY IRON: Combines the power of a wood with the accuracy of an iron. NO LONGER WILL YOU DREAD THOSE MEDIUM LONG FAIRWAY SHOTS!! IRONS: These Wide Sole Cavity Back Irons are "Over Sized" and feature Perimeter Weighting to help get your full power behind the ball. Tastefully designed for Seniors with the latest technology; the MAGNUM SENIOR EDITION GOLF CLUB SET features GRAPHITE SHAFT WOODS and SENIOR FLEX STEEL SHAFT IRONS. 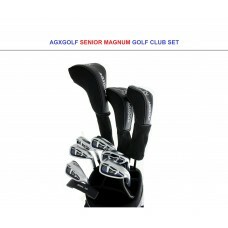 The MAGNUM SENIOR IRONS from AGXGOLF feature a low center of gravity for Optimum loft.!!. These Sharp Irons were inspired by the very popular CALLAWAY TOUR SERIES Irons and are real "Shot Makers" or should we say "shot savers"! The Oversize heads with the Cavity Back, Perimeter weighted golf club head design (like the "Callaway Series") makes it much easier to hit a nice HIGH STRAIGHT shot!! This club head design technology, plus the superior "APOLLO" SENIOR FLEX Stainless Steel Shaft Technology produces a club with awesome distance that's easy to swing. Skillfully Engineered with technology for season after season of excellent golf, ..."WHAT A DIFFERENCE!! Having GOLF CLUBS THAT FIT YOU means BETTER POSTURE and a more relaxed swing and THAT FEELS GOOD!! 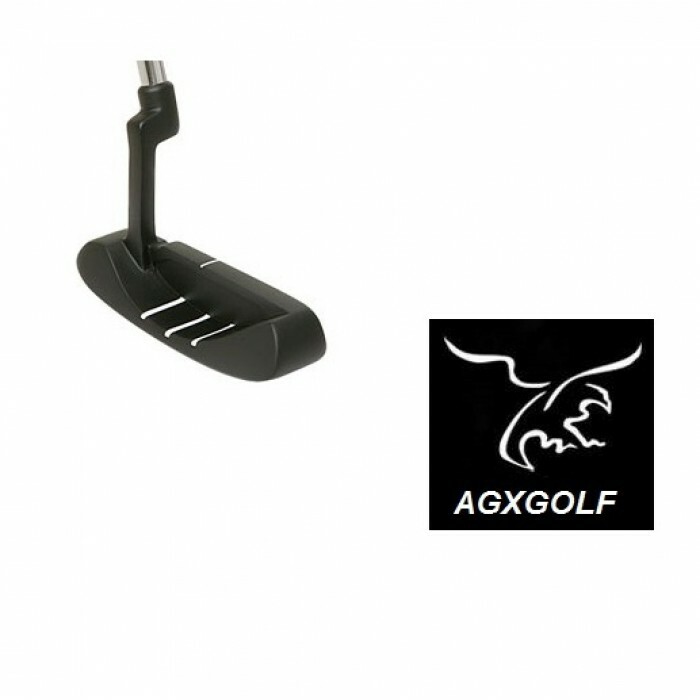 PUTTER: The great success of this Flange Putter is the Offset Hosel! The "Pendulum Feel" and the Advanced Alignment System helps you keep the Putter head on line for more accurate Putts. Also important to note is the Contoured Grip that allows for a relaxed feel and posture. Quality and affordability make these clubs a great value! It's a great way to go, whether it's a first set or you are upgrading from a "mix & match" or an older set. DRIVER: 10.5 Degree with Over-sized FORGED head for maximum distance and larger "sweet spot"
3 HYBRID UTILITY IRON: the power of a accuracy of an iron. 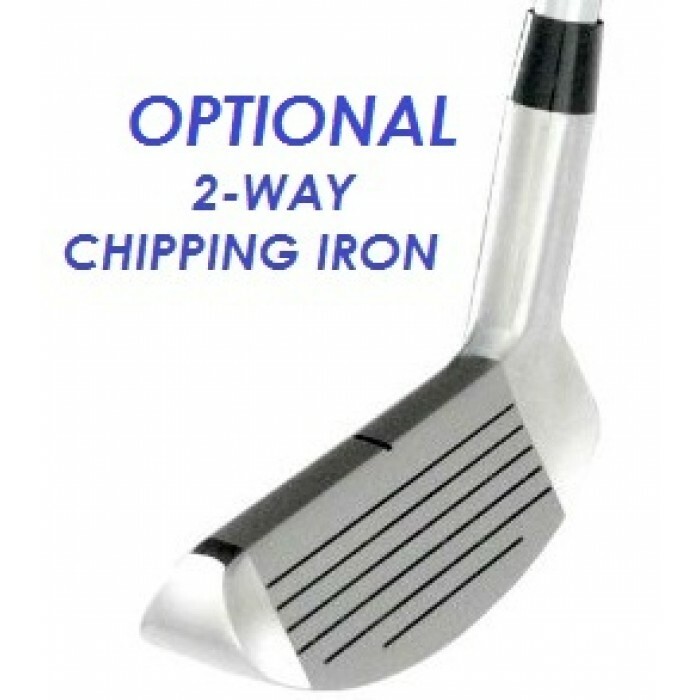 PITCHING WEDGE: To improve your "short game"
SENIOR FLEX STAINLESS STEEL SHAFTS on all irons. FREE HEAD COVERS: For Driver, 3 Wood & Hybrid. !! OPTIONAL FULL SIZE GOLF STAND BAG !! Bag STAND: Automatically activates as soon as bag is set down! These sets are built in our Highland, Michigan facility. We hope you enjoy playing these fine sets as much as we enjoyed crafting them!! STATED SHIPPING for contiguous U.S. only. Other destinations: PLEASE CONTACT US; Shipping will be billed at our actual shipping cost.